Brian Nipper: People are dumb (like me)... A person is smart (like me). People are dumb (like me)... A person is smart (like me). 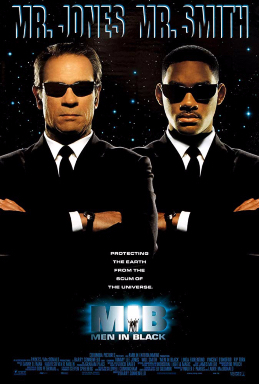 In the 1997 summer blockbuster "Men in Black" the two main characters, played by Will Smith and Tommy Lee Jones, discussed the capabilities of groups of people and individuals. Will Smith's character suggested that it would be safe to tell the entire earth about Aliens, saying "people are smart..." they can handle it. Tommy Lee's character responds "a person is smart, people are dumb..." which implies that while a person is capable, but as a whole people are not. In general I tend to disagree with the idea that the majority of people are dumb, stupid or some other negative quality. I strongly believe that the vast majority of people are very capable and given the right circumstance they are able to surprise, delight and in general exceed most expectations. However, keeping in mind that the "squeaky wheel gets the oil" or in other words the most vocal people get the attention, it seems for some reason that the most vocal people also tend to be the "less" capable. I've noticed in my day job that often, with respect to software development, users who complain/list issues the most are often the lest capable of diagnosing an actual problem versus "user error" (a.ka. "it's their own fault). In my mind it would be simple to resolve this issue if I could simple get all users to learn the one principle that I always turn to when troubleshooting problems. "It's my fault" (meaning I probably caused this issue myself and not some other person/thing). Often when resolving problems in my software I first assume that it's something I did. Unfortunately, depending on how you look at it, I'm typically correct. I might fat finger an entry, produce an off-by-one error, or some other trivial mistake. Because this seems to be the case so often with developers they have devised a brilliant process to resolve these issues, it's called TESTING. This amazing, revolutionary and ground breaking process helps to eliminate most bugs/issues. So when a user (of an already TESTED system) reports a bug, most troubleshooting begins with attempting to recreate the issue reported, when this can't be accomplished it can indicate that the user who reported the bug/issue did something "different" than expected. While this could be considered an edge case (a topic for a different post) most often it comes down to basic user error. If only all users could be taught how first think "it's my fault" but then, people are dumb. This blog is smart. But blogs as a whole are stupid.